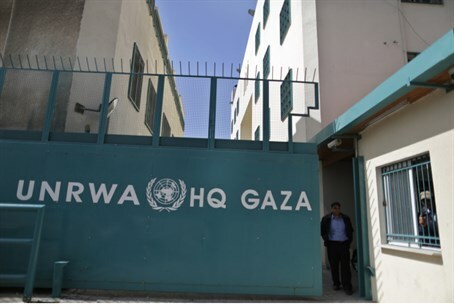 Over 80 kilograms of explosive material built into rigged UN-funded clinic; no response from UNRWA. New details have emerged about the booby-trapped clinic explosion that killed three IDF Maglan unit soldiers in Gaza earlier this week - Sergeant First Class Matan Gottlieb, 21, from Rishon LeZion; Sergeant First Class Omar Chai, 21, from Savion; and Sergeant First Class Guy Algranati, 20, of Tel Aviv, hy"d.
Over eighty kilograms of explosives were built into the UN-funded hospital's walls themselves, it was cleared for publication Thursday - revealing that the clinic itself was built to mask, and perform, potential acts of terror on the IDF. Moreover, the clinic was built over tens of terror tunnels, according to the report. The UNRWA (United Nations Relief and Works Agency) has yet to respond to the revelations, and has still not responded to the deaths of the Israeli soldiers Wednesday. On Tuesday, Hamas and Islamic Jihad rocket arsenals were found in a UNRWA school for the third time this month. While it would not comment on the deaths of the three soldiers, UNRWA was quick to place blame on Israel for a rocket strike on one of their schools in Gaza. The UN agency also immediately blamed Israel for a strike on Gaza’s Shifa hospital, resulting in the deaths of over a dozen Gazans. It was later revealed that in all likelihood, a misfired Hamas Fajr-5 Iranian-made 100 kg warhead destined for Israel had struck the hospital.